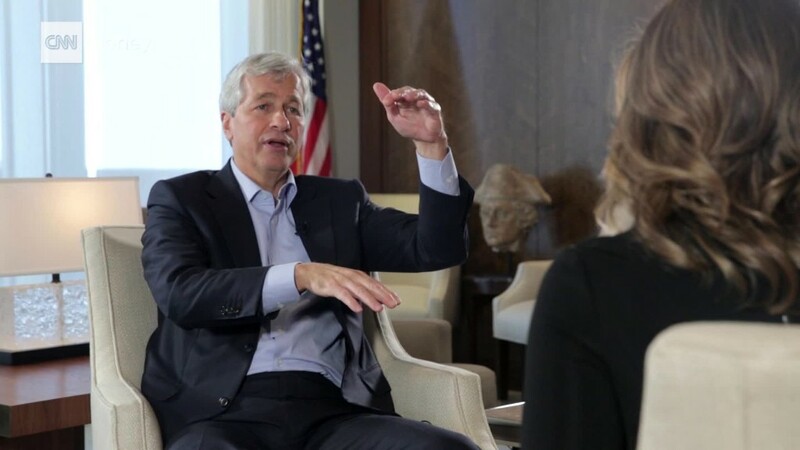 Dimon on public sentiment toward Wall St. Inside JPMorgan, they called it the "Sons and Daughters" program. Authorities now describe it as "corruption, plain and simple." JPMorgan Chase (JPM) improperly hired the "unqualified" children of China's ruling elite to win lucrative business from the country's key decision makers, authorities alleged on Thursday. Regulators slapped JPMorgan with $264 million in fines and said the bank "corruptly influenced government officials" with its hiring and internship tactics in China. The settlement follows a three-year investigation into JPMorgan and marks one of the first major crackdowns on a big U.S. bank for running afoul of the Foreign Corrupt Practices Act. Known as the FCPA, the law prohibits companies from making payments or giving "anything of value" to win business from foreign officials. "JPMorgan engaged in a systemic bribery scheme by hiring children of government officials ... who were typically unqualified for the position on their own merit," Andrew Ceresney, director of the SEC's enforcement division, said in a statement. The practice of giving the children of China's ruling class plum jobs and internships was so common at JPMorgan that the bank even had a formal program known as "Sons and Daughters." The program included spreadsheets that tracked how often the hires turned into business deals. "The so-called Sons and Daughters program was nothing more than bribery by another name," said Assistant U.S. Attorney General Leslie Caldwell. She called it "corruption, plain and simple." Over the course of seven years, JPMorgan hired about 100 interns and full-time employees at the request of foreign government officials, according to authorities. These jobs scored JPMorgan more than $100 million in business. JPMorgan admitted to authorities that individuals hired during the scheme were given the same titles and paid the same amount as entry-level investment bankers. That's despite the fact that, according to the DOJ, they mostly focused on routine work such as "proofreading" and generated little actual business. JPMorgan's $264 million in fines is being divided up among multiple government agencies. The bank has agreed to pay more than $130 million to the SEC, $72 million to the Justice Department and $62 million to the Federal Reserve. Despite the "blatant" conduct alleged by authorities, the U.S. did not announce any criminal charges against JPMorgan itself nor any individual employees of the bank. In a statement, JPMorgan said the hiring practices were "unacceptable" and the program was stopped in 2013. The bank said it took "action" against the individuals involved and has since improved its hiring procedures. JPMorgan also said in a filing that it continues to cooperate on other related investigations that are "ongoing." The SEC said it continues to investigate the issue. Authorities say the hirings were quid pro quo arrangements expressly made with the intent to win business. For instance, the DOJ said that in late 2009 a Chinese official told a senior JPMorgan banker in Asia that hiring a referred candidate would significantly influence the role JPMorgan would play in an upcoming IPO of a Chinese state-owned company. JPMorgan then spent months trying to place the candidate in a New York investment banking position -- despite realizing he was not qualified. The SEC said JPMorgan's internal controls were "so weak" that not one of these hiring requests was denied. The settlement comes as JPMorgan's CEO, Jamie Dimon, has been floated as a potential treasury secretary in the Trump administration. It's also the latest black eye for Wall Street and big banks. Earlier this year, Wells Fargo (WFC) outraged Americans by saying it fired 5,300 employees for creating as many as 2 million fake accounts. The scandal dealt a blow to Wells Fargo's reputation and resulted in the sudden retirement of longtime CEO John Stumpf. JPMorgan itself has also been in trouble in recent years. In 2013, JPMorgan paid $5.1 billion to Fannie Mae and Freddie Mac linked to misdeeds in the run up to the housing bubble. JPMorgan was also hit with a $1 billion fine for improper oversight that led to the London Whale trading debacle. Regulators worry the misbehavior among bankers is causing a credibility problem for the industry. "Deep-seated cultural and ethical problems," New York Federal Reserve President William Dudley recently warned," have "eroded the industry's trustworthiness."